Meteoritical Bulletin entry for Camp Wood. 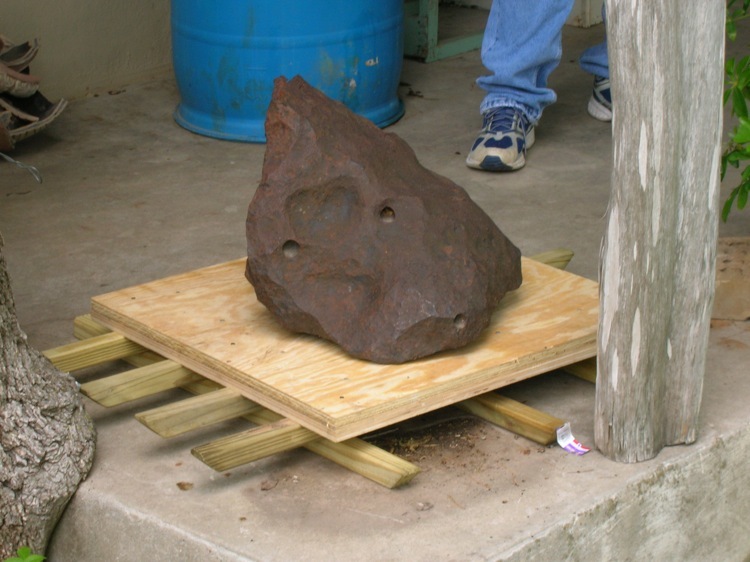 Camp Wood is the largest iron meteorite recovered in the US since Old Woman was found in 1976. 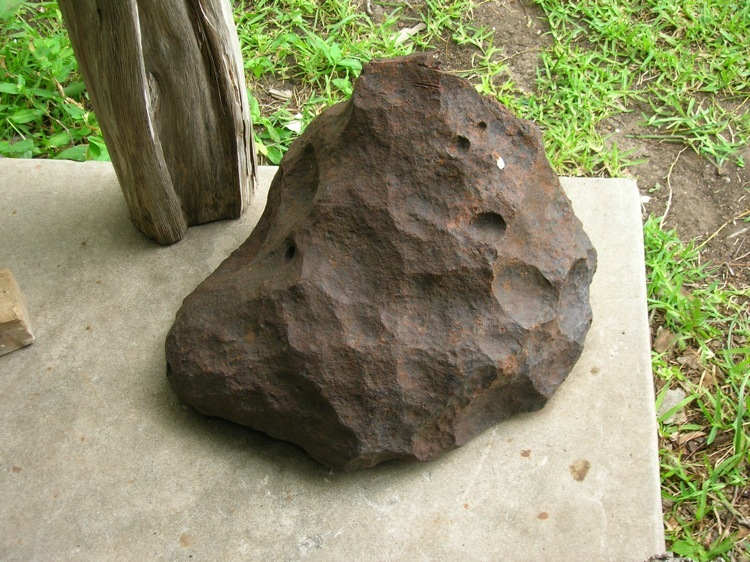 It is also one of the few large meteorites found since then that have remained intact. The vast majority of meteorites in this size range are cut and distributed. There is a separate page with images from the trip to bring the iron from Texas to California, here. The finders removed ~28 grams from the top edge. That sample was used for analysis and the iron remains as shown. 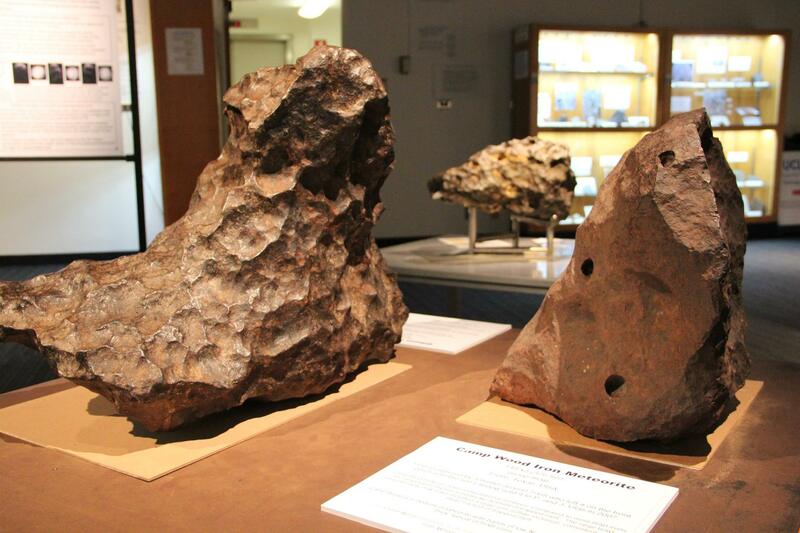 Camp Wood (at right) is now on loan to UCLA and can be seen in the Meteorite Gallery — for museum hours and other information, see here.